Pre-Inflated air bladders & a low top design for easier application. The Equalizer Pre-Inflated Low Top Air Walker takes all of the guess work out of choosing an inflatable walker with its pre-inflated air cell design. The product provides comfort and ample support with two pre-inflated air chambers on either side of the ankle. Simply slide your foot in and apply the straps. The Equalizer Pre-Inflated Low Top Air Walker has a rocker bottom sole design which promotes easier ambulation with a soft roll off feeling with each step. Walking is easier and requires less balance and effort with the rocker bottom design. 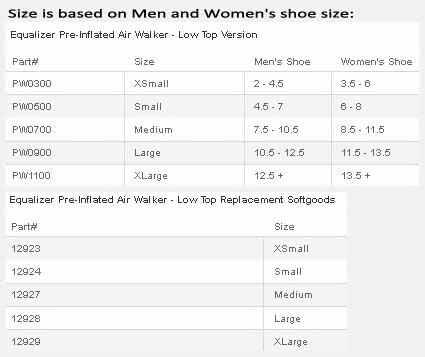 The Equalizer Pre-inflated Low Top Air Walker (once manufactured by Royce Medical) features quality side plastic struts and a comfortable foam liner that encloses around your foot and ankle with easy to use velcro straps. 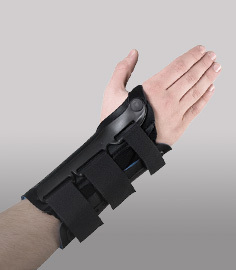 The product is well suited for treating metatarsal fractures, soft tissue sprains, stable fractures of the foot, and more. Pre-Inflated pneumatic cells in the softgood foam bootie provide superior fit and comfort. 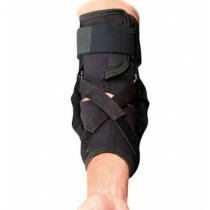 Wide sole design promotes stability and accommodates bandages and dressings easily.  Low profile design reduces bulk and allows for easy ambulation. Low Top (mid calf) height. Available in FOUR sizes - please see our sizing chart tab above for sizing guidelines. Medium Size is SOLD OUT. Grade 2 and 3 sprains. 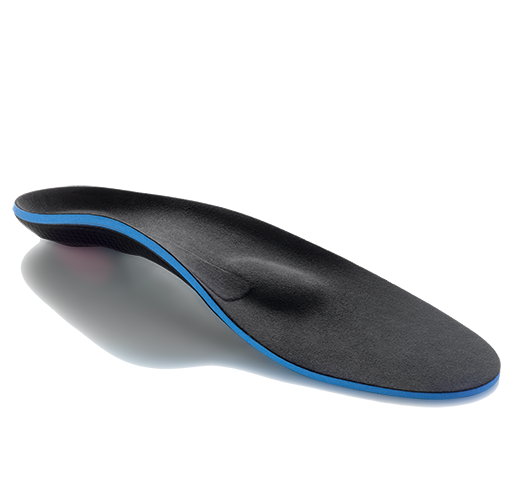 Rubber material used in the sole to absorb shock. Standard foam material used for the liner. Plastic material used for the shell and struts.